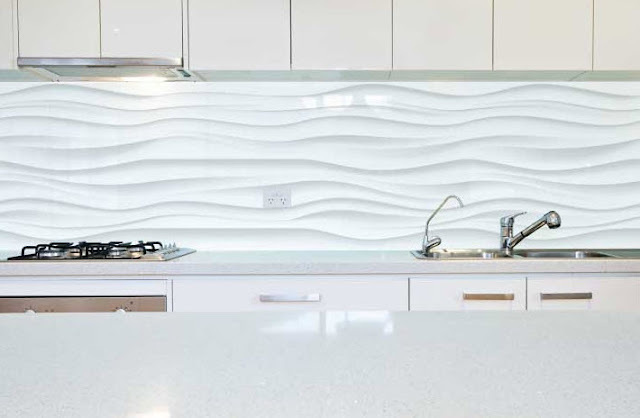 Ready to transform your kitchen, bathroom or any room that has boring glass? Our Glass FX Decals are easily applied to the backside of any piece of glass! Blue Skies depicts an expansive and endless blue sky filled with an abundance of clouds. Use this decal to liven up your space with the feeling of a warm summer's day. 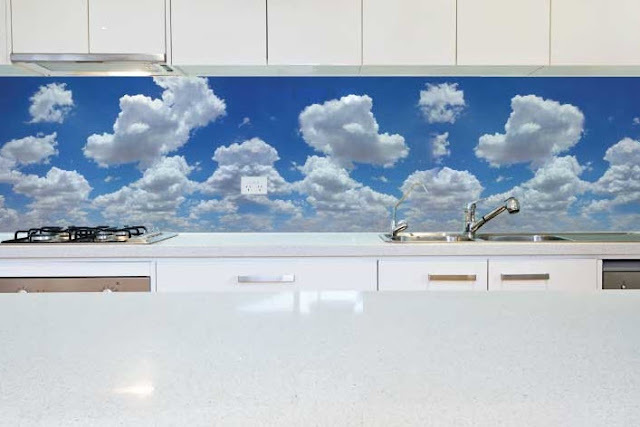 This decal should be placed on the backside of glass to offer the best protection in a kitchen and will also make it easy to clean off. Serenity displays a peaceful array of wave like shapes, to create a serene and abstract design. This design is just whites and greys so it's a great design to install in a room that either has a neutral vibe, or an extremely colorful vibe. Use Serenity to update your kitchen quickly. 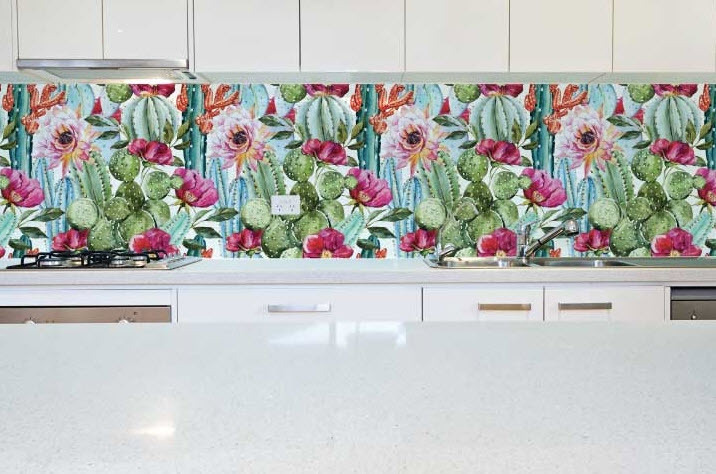 Decorate your home with colors of the desert foliage with our Desert Flora Glass FX Decal. Install this decal on the back of tempered glass in your kitchen to offer complete coverage of your decal and protect it from any kitchen mishaps. Showing beautiful watercolor cacti sprouting up all over the room in this beautiful design!